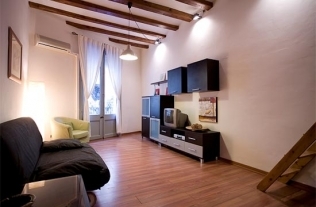 Accommodation Nearby: Stay in one of our Barcelona apartments, in the nieghbourhood of Sant Martí. The neighbourhood celebrations have become unmissable events in Barcelona, combining local folklore with Catalan traditions. 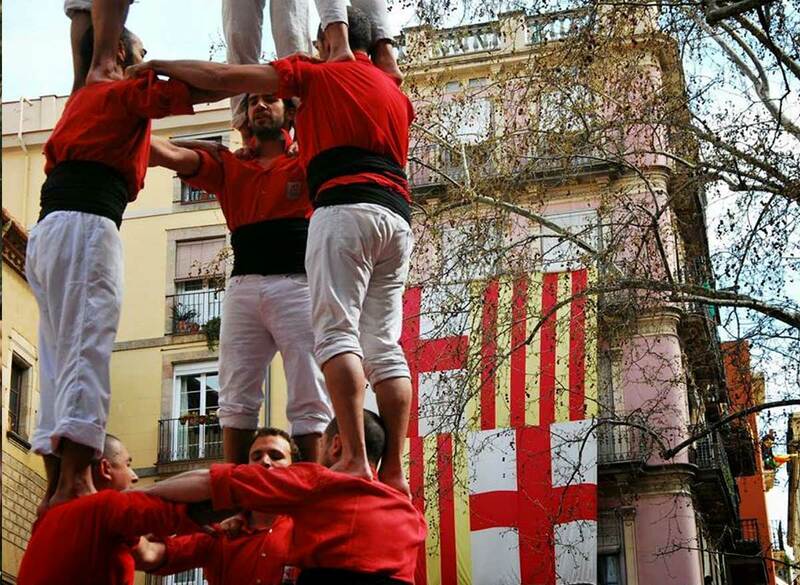 The major festivities are without a doubt one of the things you should not miss when visiting the Catalan capital. Summer has passed, and now it’s the neighbourhood of Sant Martí’s turn to celebrate. A colourful festival is organised that will take place between 5–18 November in the heart of the district. The festivities will take place at Era de Can Planas, Fondal de la Verneda and L’espai La Gàbia in Sant Martí park. The event is organised by the Coordinadora VERN — a group of around 50 neighbourhood associations. You will find a wide variety of activities, ranging from a Gegants parade (Giants parade) to paella tasting, sporting events and expositions. In this article you can get to know the history of this Festa Major, as well as a small description of the things that you can find there. The festival takes place more precisely in Verneda, located in the old town of Sant Martí that dates back to the 11th century. Back then, the church of the same name as the town separated from Santa María del Mar. 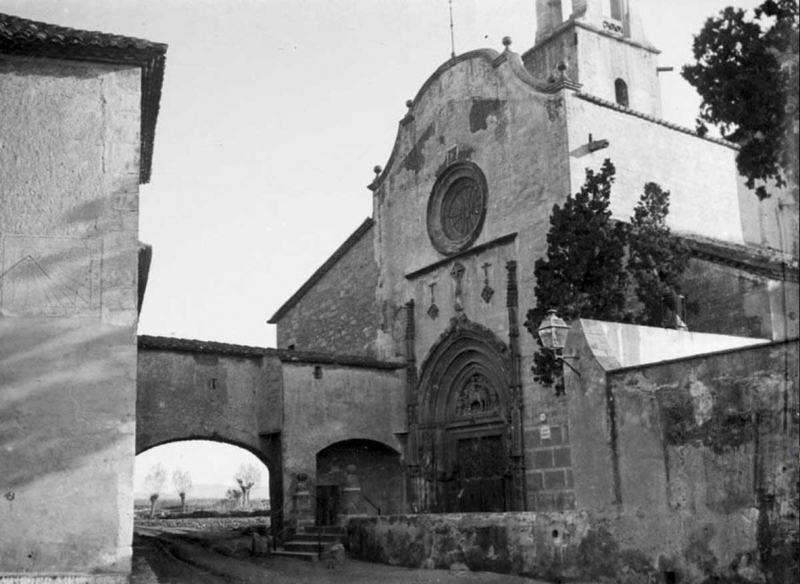 The Church of Sant Martí then became a parish that allowed the district to establish itself as a town. Then in 1897, Barcelona absorbed it, making it a neighbourhood of the city. The population, in turn, continued maintaining the village feel. Originally, the festivities were organised in honour of Sant Martí, patron of the district, in relation to the church around the village. Back then during the middle ages, Sant Martí was one of the most popular saints in Europe. These days, the question is not so much to honour Sant Martí rather than to celebrate their sense of identity. In fact, this celebration allows the citizens to demonstrate that they form a true community with their own traditions and symbols. 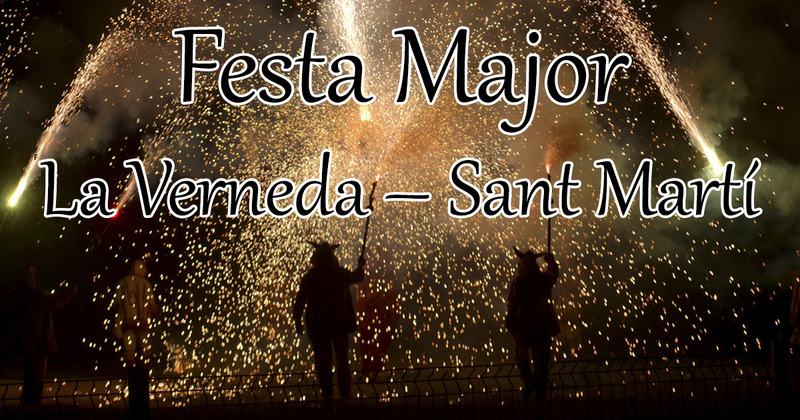 Of course, the Festa Major is open to all and the people of the district will be happy to share there local traditions with anyone who isn’t from the neighbourhood. They are this proud. From 5–18 November, you will have the opportunity to discover numerous activities that the Sant Martí Festa Major offers. For example, you can visit one of four expositions organised for the occasion or attend performances. Here are some typical activities that you should definitely not miss. If you have already attended another Festa Major in Barcelona, this will sound familiar! It’s typical to find Gegants (giants) dancing in the streets at these occasions and Sant Martí is no exception. The event takes place at the Rambleta Selva de Mar where the giants will march to the rhythm of the music. Before this, there will be a speech that will commence the parade. It will cross a good part of Sant Martí. 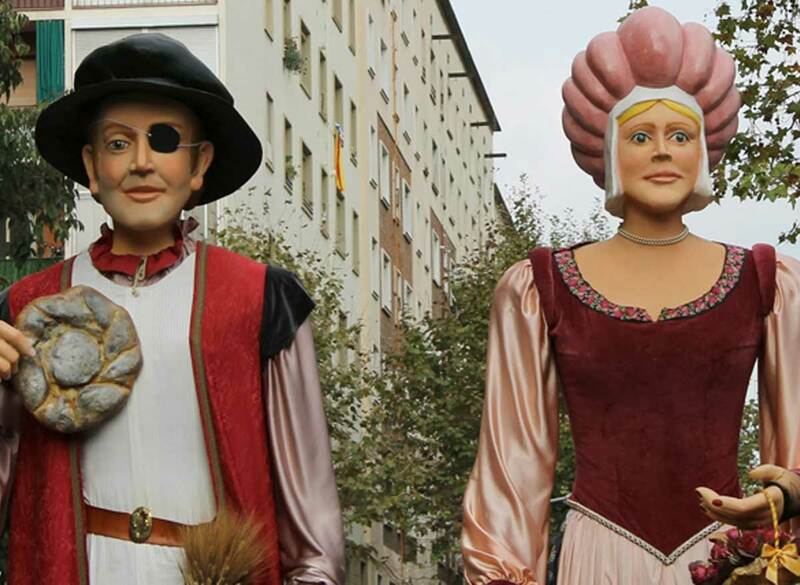 Just so you know, you will see a pair of giants, Marti i la Dolça, icons of this Festa Major. Parallel to the march of the giants, you will find the famous Castellers, intimately linked to Catalan tradition. A human tower is constructed, 6 to 10 flights high. Needless to say this can be a very impressive sight! Also, it is a tradition inscribed on the UNESCO list of the intangible cultural heritage of humanity. 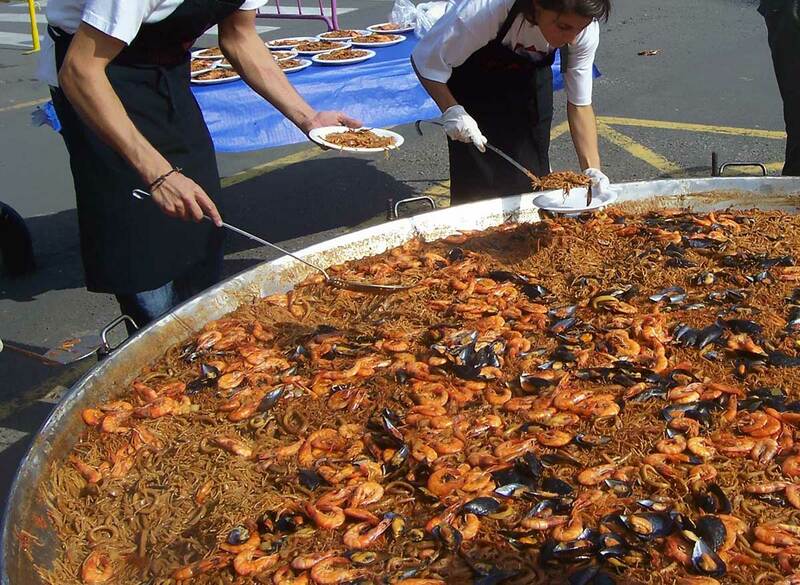 The typical, popular paella will take place on Monday, 5 November in Sant Martí park. Attention though, if you wish to participate in this meal, then you should first register at the Bar del Centro Cívico. This registration does not guarantee a table and chairs on the day. Therefore, the organisers specifically ask people who live in the area to bring their own chairs. The Festa Major finishes on Sunday, 18 November to the rhythm of Habaneras. This music genre was very popular in the 19th century, originating during the war between Spain and Cuba (hence the Cuban name of this musical genre). The rhythm oscillates, not far from the tango. The Catalans adopted this style of music some decades ago, so it is typical of Festes Majors. Sant Marti was appointed to the city of Barcelona in 1897, just like the towns of Gràcia, Sant Andreu, Sants, Les Corts and Sant Gervasi. Though far from being a neighbourhood besieged by tourists, it has some unmissable places such as the Church of Sant Martí and Musuem of Design. Also, you will find a large shopping centre with more than 166 shops, a cinema and various restaurants.